Disclosure: Complimentary product received for review purposes. 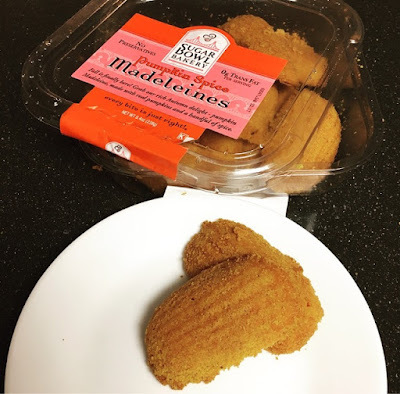 Sugar Bowl Bakery's Pumpkin Spice Madeleines. With such beautiful weather here in Hawaii, seems like the only way I know of Fall's arrival is the introduction of pumpkin spice everywhere! Now you can celebrate Fall with a pumpkin spice latte and pair it with Sugar Bowl Bakery's delicious Pumpkin Spice Madeleines. 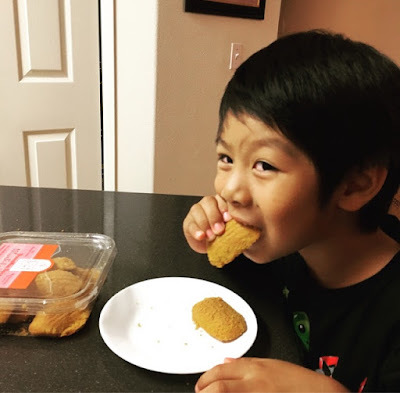 My kids have always loved madeleines and since they are big fans of pumpkin, they were excited to try the cookies in Pumpkin Spice! The French cake cookie's main ingredient is 100% real butter and the cookies are naturally flavored with pumpkin puree! Best of all, each serving is only 90 calories and you can rest assured they contain no artificial flavors, artificial colors, trans-fat or preservatives. Sugar Bowl Bakery Pumpkin Spice Madeleines: Cade approved!